This earthquake occurred approximately 55km south of Marlo, approximately 80km southeast of Lakes Entrance, VIC. This earthquake has been widely felt in Melbourne’s southeastern suburbs and in the Gippsland region, and it is possible that it could be felt at up to 50km from the epicentre. The earthquake was around 18km deep, and an event of this magnitude and depth is unlikely to have caused damage. In the few hours since the earthquake there have been no aftershocks, which is in contrast to yesterday’s Korumburra earthquake of similar magnitude which had at least 9 aftershocks in the 24 hours after the earthquake. The Korumburra event was much shallower at around 8km deep, and was 50km further east (about 100km east of Melbourne). The difference in behaviour is not unusual because the two earthquakes have occurred on different faults. The Gippsland region of Victoria has a higher-than-average level of seismic activity compared to Australia overall, so although it is unusual to have two earthquakes so close in space and time, it is not unusual to have earthquakes in the area. The last largest earthquake in the Pakenham area was in 2001, a magnitude 3.6 event with its epicentre about 6km away near Tooradin. This earthquake occurred about 2km northeast of Korumburra, approximately 100km southeast of Melbourne, VIC. This earthquake has been felt in the surrounding area. Several aftershocks have been recorded, the largest of which was a magnitude ML 2.1. This earthquake occurred about 20km southwest of Gundagai in NSW, around 60km east of Wagga Wagga. It has been reported felt in the local area. This earthquake occurred approximately 17 kilometres southeast of Muswellbrook, approximately 90 kilometres northwest of Newcastle, NSW. This earthquake occurred approximately 4 kilometres southwest of Moe, approximately 120 kilometres east of Melbourne, VIC. This event has been felt in the surrounding area. This earthquake occurred approximately 16 kilometres southwest of Gundagai, NSW, approximately 100 kilometres west of Canberra, ACT. This earthquake occurred approximately 6 kilometres northeast of Yarram, approximately 175 kilometres southeast of Melbourne, VIC. This earthquake occurred approximately 3 kilometres south of Cessnock, approximately 30 kilometres northwest of Newcastle. This event was followed a minute later by a magnitude ML 3.0 aftershock and three hours later by a magnitude ML 2.0 aftershock. This earthquake occurred in western New South Wales, approximately 90 kilometres north of Mildura, VIC. This earthquake occurred off the coast of Victoria, approximately 65 kilometres south of Warrnambool, VIC. This earthquake occurred in metropolitan Melbourne near Craigieburn, approximately 20 kilometres north of Melbourne, VIC. This earthquake has been felt in the surrounding suburbs. This earthquake occurred in the King Valley, approximately 185 kilometres northeast of Melbourne, VIC. It was followed 5 hours later by an aftershock of magnitude ML 2.1. This earthquake occurred in the Bass Strait, approximately 175 kilometres south of Melbourne, VIC. This earthquake occurred approximately 4 kilometres northwest of Mount Perry, approximately 80 kilometres west of Bundaberg, QLD. This earthquake occurred approximately 40 kilometres south of Golden Beach, approximately 230 kilometres southeast of Melbourne, VIC. This earthquake occurred approximately 12 kilometres northeast of Leongatha, approximately 115 kilometres southeast of Melbourne, VIC. This earthquake occurred approximately 15 kilometres north of Campbell Town, approximately 120 kilometres north of Hobart, TAS. This earthquake occurred off King Island, approximately 50 kilometres east of Cape Wickham, TAS. This earthquake occurred approximately 7 kilometres southwest of Reids Flat, NSW, approximately 130 kilometres north of Canberra, ACT. 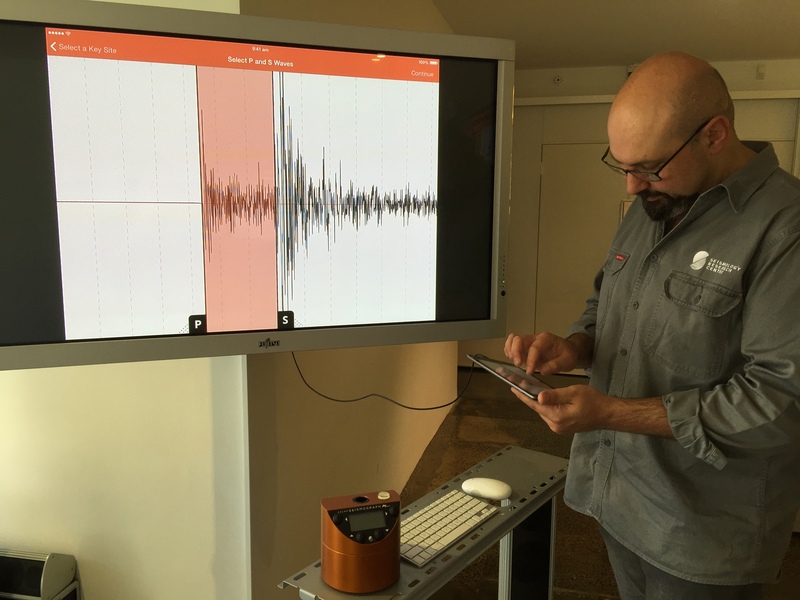 West Wyalong has a long history of earthquake activity, with this latest event being the largest in the area since 1999. It was followed 4 minutes later by an aftershock of magnitude 2.7. 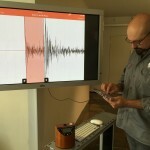 An aftershock of magnitude 3.0 was recorded on March 1st. This earthquake occurred approximately 3 kilometres northwest of Zeehan, approximately 195 kilometres northwest of Hobart, TAS. This earthquake occurred near Eugowra in central NSW, about 50km west of Orange. In the 1990s there was a swarm of several hundred earthquakes in the shallow outcropping granite near Eugowra. The SRC installed an aftershock network and recorded our highest ever ground acceleration of over 1g from the largest earthquake in the sequence, a magnitude 4.1. This earthquake occurred approximately 40 kilometres southwest of Muswellbrook, approximately 160 kilometres northwest of Sydney, NSW. A moderate earthquake occurred about 50km south of Dubbo, near Wellington in central NSW. This earthquake occurred approximately 10 kilometres southwest of Wonnangatta in the Alpine National Park region of Victoria, about 170 kilometres northeast of Melbourne. This earthquake occurred approximately 6 kilometres northeast of Gembrook, approximately 55 kilometres east of Melbourne. This earthquake has been felt in the surrounding suburbs. This earthquake occurred approximately 3 kilometres northeast of Ferntree Gully, approximately 30 kilometres east of Melbourne. This earthquake has been felt in the surrounding suburbs.